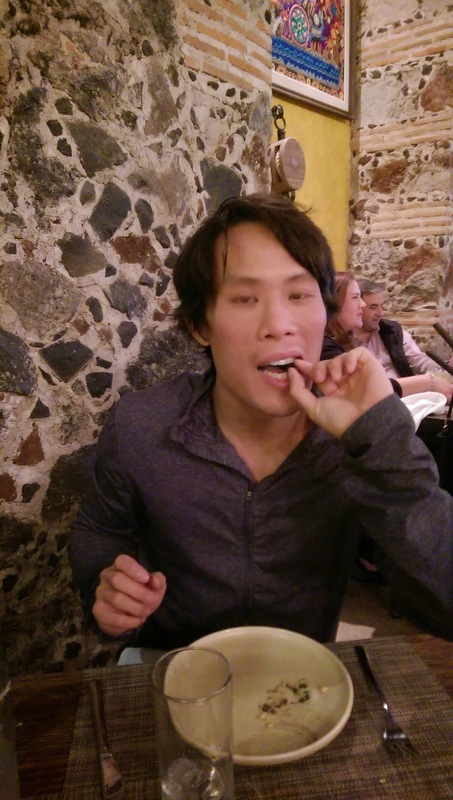 I was in Mexico City last week, and one of the things I was most excited about was not late-night greasy taco stands (although that was a highlight), but the opportunity to eat bugs. There aren't too many restaurants in the Western first world where you can get insects. 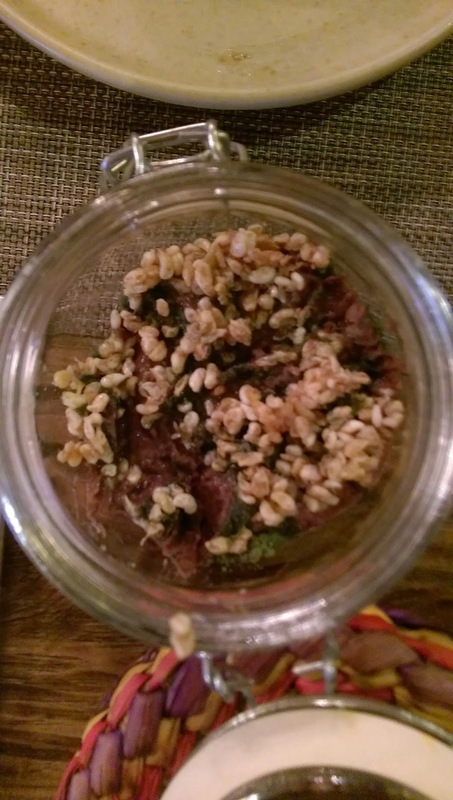 But I wanted to eat insects in Mexico quite badly, not necessarily for the taste or experience, but because I believe entomophagy is the future, and I want to put my money where my mouth is. 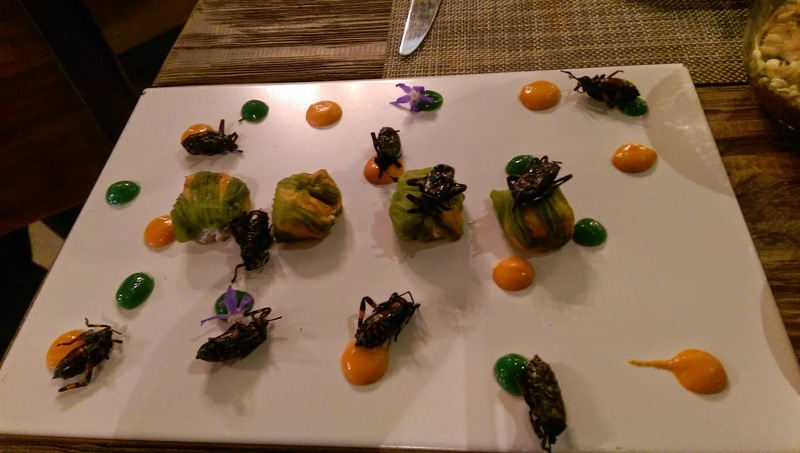 I'm happy to report that Restaurante Limosneros in Mexico City did a great job preparing these tasty bugs. Left: Beetles with various salsas. Right: Ant eggs. 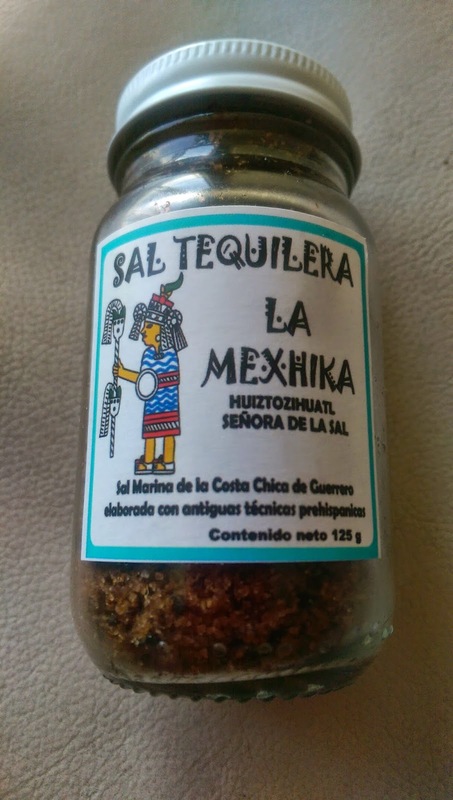 From the gift shop: "Tequila salt" made from grasshoppers. But you can put it on anything; very tasty! Not only are bugs delicious, they are an awesome source of nutrients. Check out how they compare to beef, chicken, and salmon. 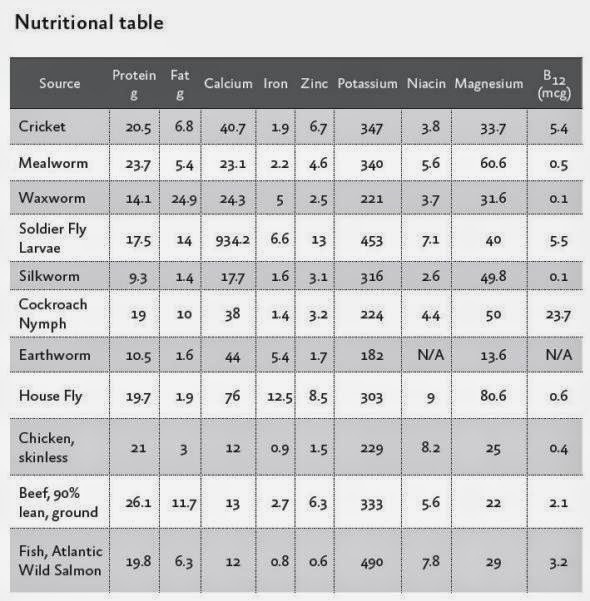 Insects stack up well nutritionally with the meats we commonly eat. Bug farming is also much more environmentally friendly than animal farming, requiring far less feed, land, water, and carbon. Also, many of the issues that surround animal cruelty in factory farming are not an issue with insect farming. Fact is, if we're going to meet growing nutritional needs while recognizing that we have a finite amount of land and energy, people in the first-world West need to get over the stigma of eating bugs. This is not without precedent, of course. Lobster was considered an undesirable food for the lower classes and even prisoners until the mid 19th century. Now it's a luxury food and often the most expensive item on the menu. Now, I don't know whether anyone out there makes a cricket steak that's as good as a North Atlantic lobster or an Argentine rib eye. But bugs can't only be the domain of fancy restaurants in the West. Farmers in the West are trying to cram more chickens, cows and pigs into tinier and tinier spaces which is not only bad for the animal, but unhealthy for the end consumer. (Animals crammed into small spaces get diseases.) We need to start creating demand for bugs. The cricket-based protein bars by Exo are a great start. But that's only a start. It can't just be a niche product for health nerds or hippies. This stuff needs to be in casual restaurants and ubiquitous in supermarkets. That's the best way to reduce our reliance on factory farming.